Tonight on The Profit Marcus Lemonis is in Los Angeles, California with hopes of making a deal with Dilascia. 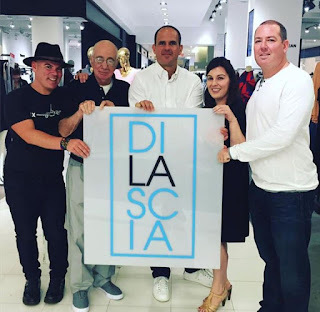 Dilascia is a clothing brand created by Patrick Dilascia that focuses on t-shirt designs. Patrick has hired his sister Kelly as Chief Operating Officer and his brother Daniel as Chief Financial Officer at Dilascia. When Marcus evaluates the business, he sees inventory problems as well as problems with keeping track of sales numbers. Let's take a look at some information related to Dilascia as well as what kind of deal was made on the show. 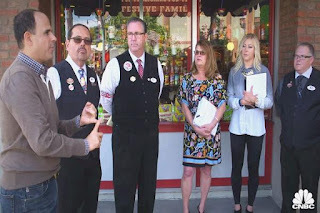 Tonight on the season premiere of The Profit Marcus Lemonis is in Buena Park, California with hopes of making a deal with Farrell's Ice Cream Parlour Restaurants. Farrell's Ice Cream Parlour is a chain of restaurants that specialize in ice cream sundaes and also have food and a candy store. The Farrell's brand once had 130 locations, but after new owners took over all locations eventually closed. In 2009 the current owners decided to try to resurrect the brand. They are currently having issue with a few stores losing money and may have expanded too quickly. Let's take a look at some information related to Farrell's Ice Cream Parlour Restaurants as well as what kind of deal was made on the show. Below are two different premieres of the season if you are interested. Also, be sure to come back to The Profit Updates after each episode to see how the businesses are doing and if there are any updates on them.